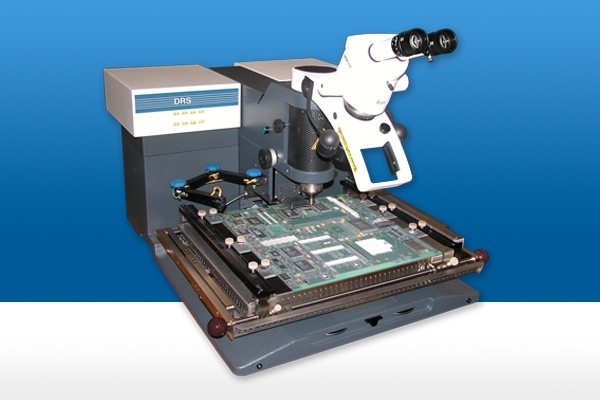 We have solutions for all your BGA rework and repair needs. We're equipped with 6 top-of-the line BGA rework systems and a staff of engineers and operators with in-depth knowledge and experience at the intricate process of BGA rework. We have six top-of-the line BGA rework systems from Air-Vac, a world leader in BGA rework technology. With six systems, and a staff of experts we can handle any requirement from a single board to thousands. 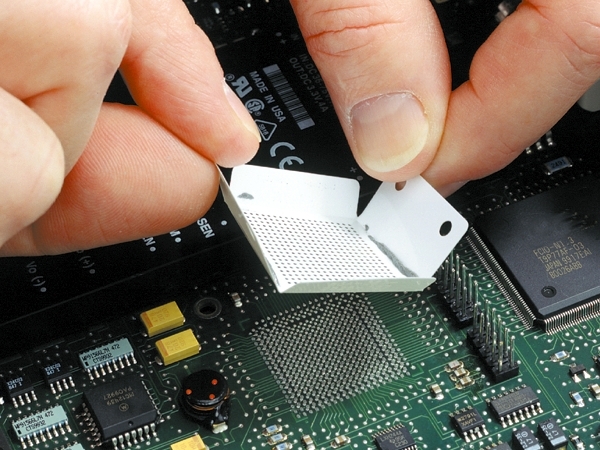 To apply solder paste we often use Flextac BGA Rework Stencils. This unique product ensure we have a consistent solder paste deposit and reduces the potential for solder paste contamination. 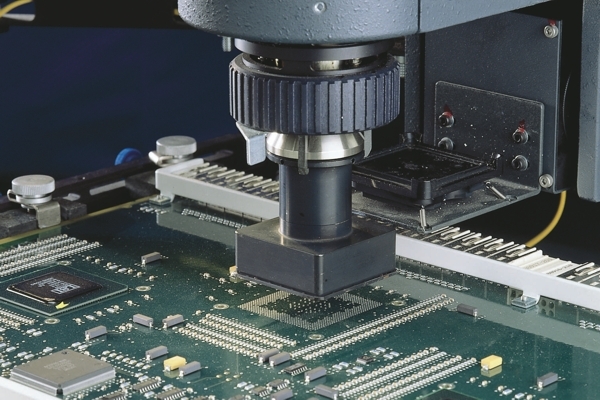 Every circuit board we process for BGA rework is carefully inspected using a Dage X-ray system to ensure the BGA rework meets the highest quality levels. 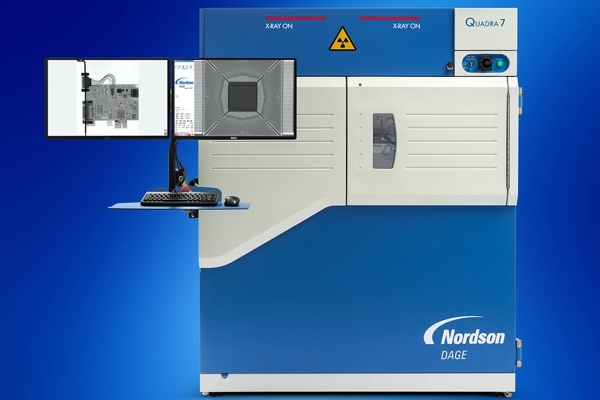 This system will pin point defects including solder joint shorts, opens, and voids. PBGA (Plastic Ball Grid Array), TBGA (Tape Ball Grid Array), uBGA (Micro BGA), CCGA (Ceramic Column Grid Array), CBGA (Ceramic Ball Grid Array), CPGA (Ceramic Pin Grid Array), LGA (Land Grid Array), QFN (Quad Flat No Leads), PoP (Package on Package), Multiple package stacks, Interposer Boards, Test Probes and other BGA probes. For prices on BGA rework and repair go to: Service Charges. 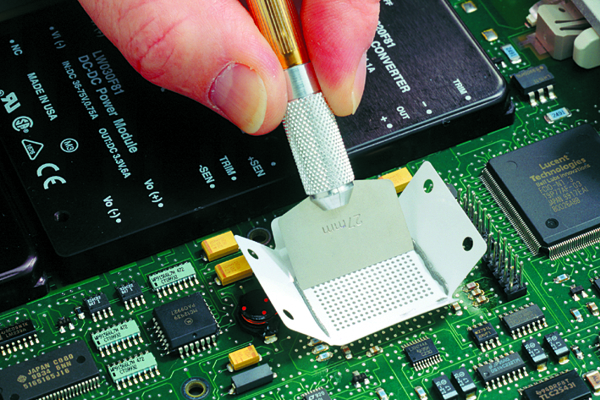 To send circuit boards to us for BGA repair or rework, use our online Order Tracking Form. 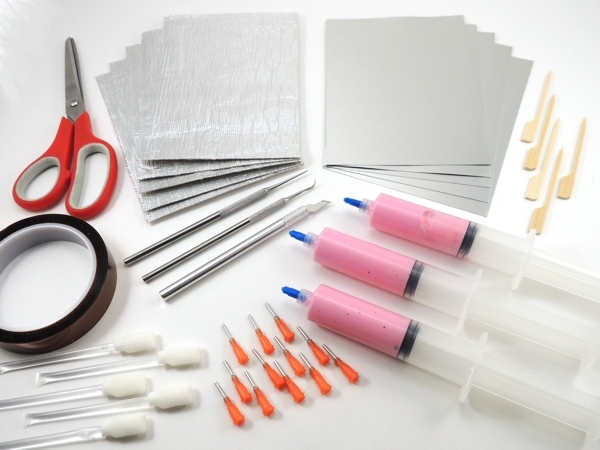 Kit includes tools and materials needed to protect heat sensitive area of a circuit board during rework.